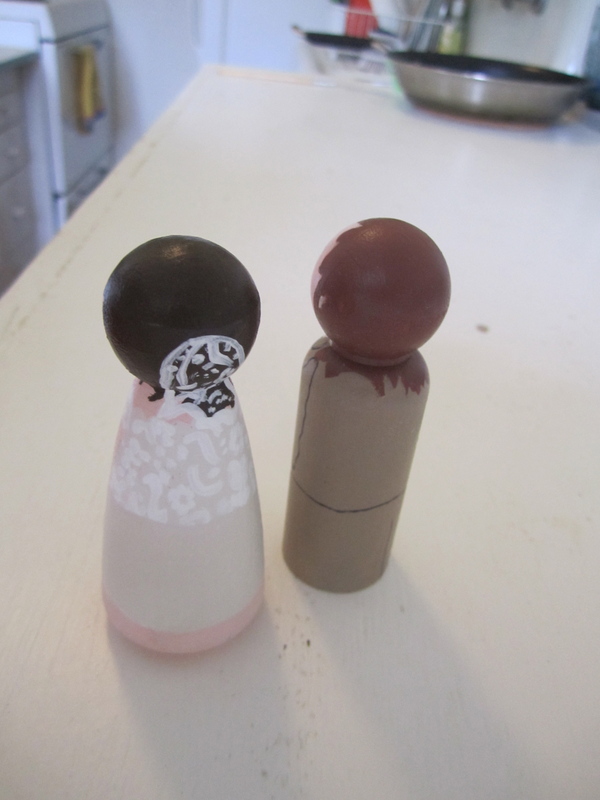 my bff lauren asked me to paint cake toppers for her wedding on june 18th. she ordered the DIY dolls from goose grease awhile back, but i’ve been nervous to start on them because i didn’t want to mess up! but i finally whipped them out last weekend and, despite my shaky hand and stress over making her long-haired man’s mane look just right, i think they turned out pretty well. anybody else want a cake topper?? 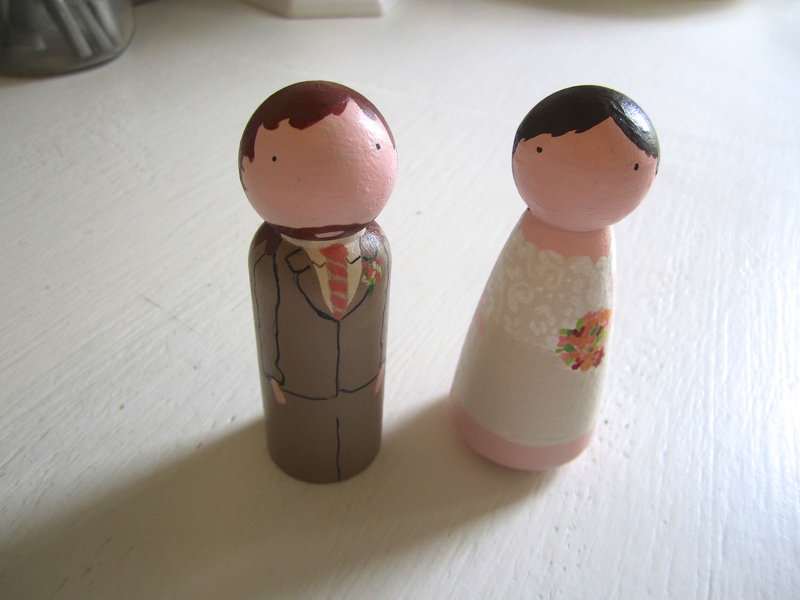 or just a cute little peg doll-version of yourself? i think i found a new hobby. 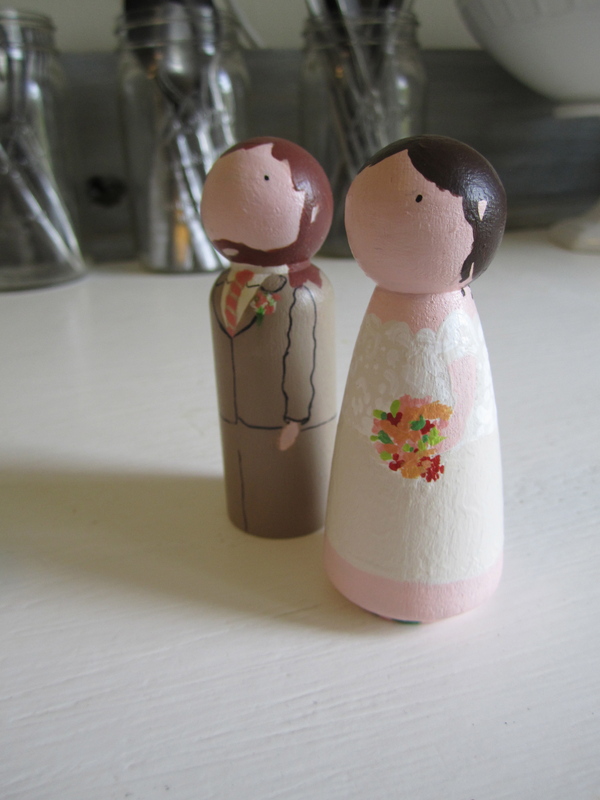 This entry was posted in DIY and tagged cake toppers, crafts, DIY. Bookmark the permalink. ME! those are soo good. i’m dying. They turned out so cute Brooke!! Darling!! you’re a natural!! those look legit!